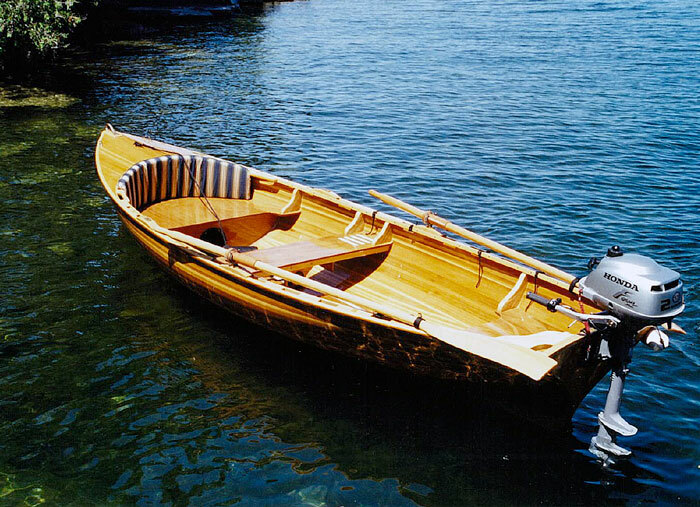 Rob Hess launched this Cosine Wherry designed by John Hartsock on June 30, 2002. 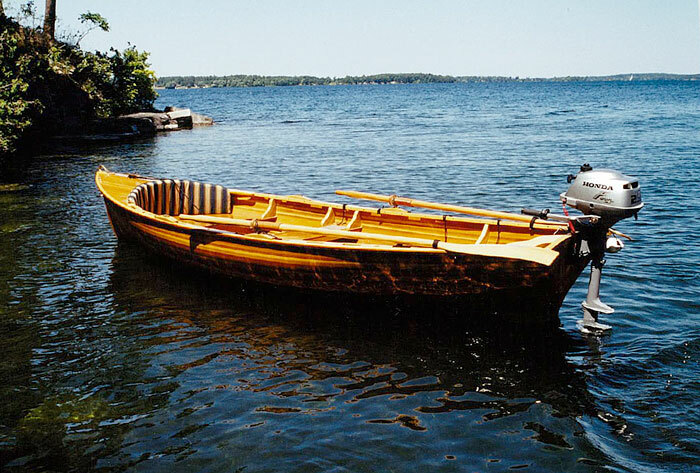 He rows and motors WINNIE around the waters of Webster, NY. After building the hull according to the plans, Rob made a few modifications - adding floor frames with removable decks, doubling the transom thickness, and tripling the stem thickness. He also beefed up the quarter knees and enclosed the foredeck.